Woodstain Collection. Rosewood with Prizm Ruby Lens. Medium Frame Size. Matte Black with Prizm Black Lens. 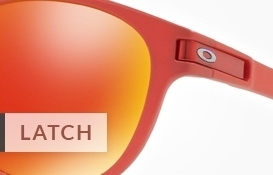 Larger Frame Size, Marc Marquez Signature Series. Matte Black with Prizm Black Lens. Grid Collection. 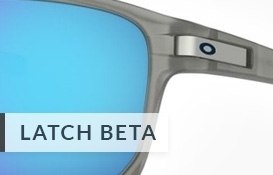 Matte Translucent Blue with Prizm Sapphire Lens. Grid Collection. Matte Crystal Black with Prizm Ruby Lens. Woodgrain with Prizm Black Polarized Lens. Grid Collection. Matte Black with Prizm Black Lens. Medium Frame Size. Polished Black with Black Iridium Polarized Lens. Larger Frame Size. Polished Black with Black Iridium Polarized Lens. Medium Frame Size. Matte Brown Tortoise with Sapphire Iridium Polarized Lens. 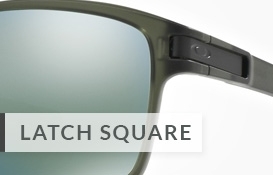 Larger Frame Size. Matte Brown Tortoise with Sapphire Iridium Polarized Lens. Larger Frame Size. Matte Brown Tortoise with Prizm Tungsten Lens. Medium Frame Size. Black Ink with Prizm Ruby Lens. Larger Frame Size. Black Ink with Prizm Ruby Lens. Medium Frame Size. Matte Black with Prizm Grey Lens. Larger Frame Size. Matte Black with Prizm Grey Lens. Medium Frame Size. Matte Black with Violet Iridium Lens. Larger Frame Size. Matte Black with Violet Iridium Lens. Olive Camo with Prizm Tungsten Lens. Prizm, Polarized. Matte Grey Ink with Prizm Sapphire Polarized Lens. Matte Black with Chrome Iridium Lens. Matte Brown Tortoise with Prizm Black Lens. When Oakley work with athletes the results are usually eye opening and full of features others would never consider. 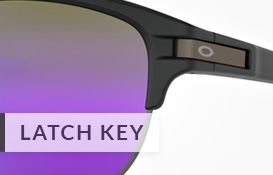 The Oakley Latch is yet another example of reaching to your audience and listening to whats needed. A patented latch mechanism adorns this design, making it so simple to switch from your head and clip to the front of your tee, shirt pocket or collar for safe keeping. Names like Eric Koston, Curren Caples and Sean Malto worked with the design team, and with international sports & music photographer Atiba Jefferson they've created the sweetest of lifestyle models. 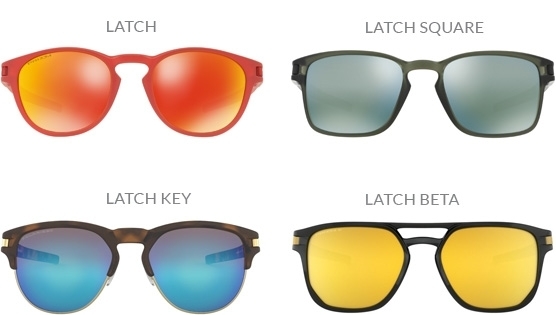 Latch comes loaded with all the regular tech features so you aren't missing out on anything in favour of the clip.